Guns A Defining Issue in Race to Replace Jesse Jackson Jr.
Robin Kelly is using gun control to separate herself from opponents in the crowded 2nd Congressional District special primary. 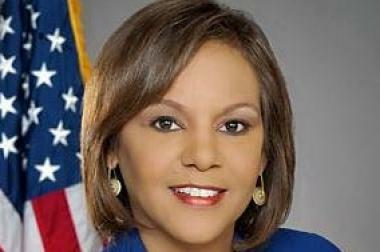 CHICAGO — Robin Kelly is trying to use her anti-gun stance to separate herself from opponents in the crowded race to replace Jesse Jackson Jr. in Congress, but Debbie Halvorson is doing the same on the opposite side of the issue. Kelly, a former state representative from south suburban Matteson, on Monday called on former U.S. Rep. Halvorson of Crete and state Sen. Toi Hutchinson (D-Olympia Fields) to explain their high ratings from the National Rifle Association. Kelly asked that they release the questionnaires that led to A ratings from the NRA, while boasting that she received a failing grade from the gun lobby while in the General Assembly. Gun control proved to be a key issue in a candidate forum in the 2nd Congressional District race over the weekend, where Halvorson sought to set herself apart by saying, "We need to strengthen the laws we already have instead of keep talking about new ones," adding that Cook County has a ban on assault weapons, yet Chicago leads the nation in murders. Debbie Halvorson is not shying away from guns, given how the 2nd Congressional District extends to Will and Kankakee counties. 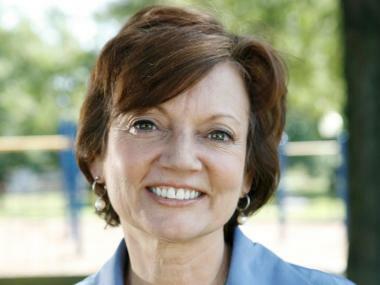 A white moderate in a field crowded with African-American liberals, and a loser to Jackson in the Democratic primary a year ago, Halvorson has name recognition in the district as a former member of Congress from the 11th District, before remapping. Her gun position could appeal to voters in Will and Kankakee counties. Most voters in the 2nd District are in the south suburbs, but that's also where most candidates are from, and the 17-person race means it's highly likely the winner will not come close to a majority and could win with as little as 10 percent of the vote — or less. Richard Pearson, executive director of the Illinois State Rifle Association, said a gun proponent would figure to do well in the southern reaches of the district, but that the gun lobby had not yet thrown its weight behind Halvorson. "We keep an eye on every race," Pearson said, but he added, "We haven't made a decision yet" on which candidate to support. Within the city limits of Chicago, the Rev. Michael Pfleger, pastor at St. Sabina on the South Side and an outspoken proponent of gun control, said the NRA's support for Halvorson and Hutchinson "disqualified" them both as 2nd District representatives. "It's absolutely important," Pfleger said. He added that he hadn't yet endorsed a candidate in the race, "but I'm probably leaning towards Robin. I know her, I trust her, and she certainly has been very clear with the gun issue." Cook County Board President Toni Preckwinkle, likewise a strong proponent of gun control, declined to comment on the issue Monday, even as it appeared she was about to endorse Hutchinson, whose campaign planned a midafternoon news conference at the Palmer House Hilton downtown to make the announcement. That would come as something of a surprise, as Kelly recently worked for Preckwinkle as Cook County chief administrative officer after losing a statewide race for treasurer in 2010. Mayor Rahm Emanuel has not endorsed a candidate in the race and did not respond to requests for comment on the gun issue. Ald. Anthony Beale (9th) and state Sen. Napoleon Harris (D-Flossmoor) support gun control, but have not seized on the issue the way Kelly has. Hutchinson recently endorsed a state ban on assault weapons and high-capacity gun magazines, but got a 92 rating from the NRA in its 2012 Vote Smart candidate analysis. Guns even embroiled state Sen. Donne Trotter (D-Chicago) when he was a candidate in the race. He dropped out after he allegedly was caught with a pistol during a security check at O'Hare Airport. Seventeen Democrats and five Republicans entered the special primary Feb. 26. Voter registration in the city and suburbs ends Tuesday. The general election is set for April 9. The special election was called when Jackson resigned the seat after winning re-election in November, citing health issues. He is under federal investigation.